And I continued strong with the Christmas reads, this batch features more older titles, but also gems. I did not receive review copies of any of these. 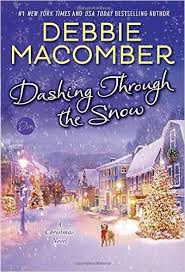 This is not technically classified as a Christmas book, but it's a book with magical elements that takes place at Christmastime and pretty much features one of Hallmark's favorite plotlines...woman is too into her work, neglects husband/family, comes to find what really matters. I enjoyed it a lot. 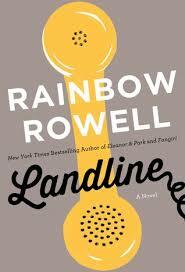 Rowell is the kind of author that immediately draws me in and her observations on emotional life and love speak to me. 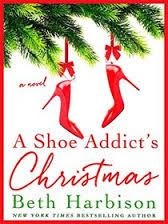 The books just felt like a classic Christmas romcom and I enjoyed the plotline of her speaking to her husband from many years ago and rediscovering what that kind of love felt like. It went by quickly. That said, I just didn't like Georgie's husband at all. He seemed rather humorless and there was no point where I felt like "Oh okay that's why she loves him so much." But honestly, my feelings about him are pretty irrelevant, she loved him a lot so that's what matters! 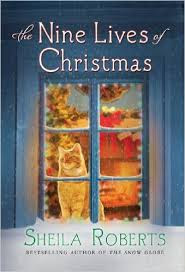 Definitely a charming, cute book that should be made into a holiday movie! I've come to realize that Hallmark is the worst at adapting books. I sort of watched this movie when it was on, but found it silly. In book form, though, it just works. It's cute and funny and romantic. Ashley is mistakenly put on the no-fly list which prevents her from getting a last minute flight to surprise her mother for Christmas. She ends up sharing a rental car with an eligible bachelor and while their personalities clash at first, the sparks fly as well. The adoption of a puppy also happens! But meanwhile there's the FBI are chasing her down. It's just goofy, but fun. This is the perfect Christmas romance. Elise is dreading the upcoming holidays when a handsome stranger proposes they spend the holiday together...doing all their events together. 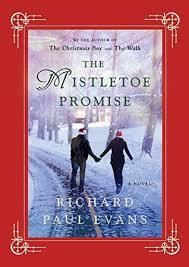 They draw up an agreement called the Mistletoe Promise. But as they spend time together pretending a relationship, genuine feelings emerge. (naturally) What makes this story stand out as both a Christmas story and romance from what is in some ways a tired plot is the pasts of both characters that unite them in a special way. The story breathes hope and romance and new beginnings and I loved it a lot. Kimberly Rossi is an aspiring author who attends a writers conference in the hopes of seeing one of her favorite authors who has been in seclusion for years. Her father, recently diagnosed with cancer, has paid for the trip. Lo and behold she meets a handsome stranger! They spend time together and he helps her rework some scenes of her book. They fall in love, but due to some issues in her past, Kimberly has a hard time trusting him. He has secrets of his own. I enjoyed this one as well! 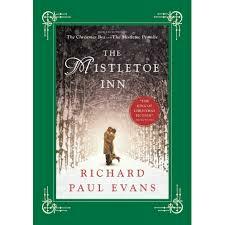 Not as much as The Mistletoe Promise, but it was still a fun engaging holiday romance. Kind of light on the holiday aspect, heavier on writing. Still good. Ambrose is on his ninth life which is miraculously saved by hunky fireman Zach. Ambrose feels he needs to return the favor by helping Zach with something in his life. And Ambrose soon decides that something is matching him up with Merilee a shy animal lover in the community. What makes this book so fun is the part of the story told from Ambrose's point of view. It's just adorable. It's otherwise a pretty standard romance, but very cute, funny, and charming and very different from the Hallmark adaptation. Sigh. This is a cute story where a faithful employee (Noelle) is trapped in her store due to a snowstorm. Lo and behold, a fairy godmother, or guaridan angel visits her and revisits different period periods of her life with her, showing her what could have been if she'd made different choices. Very cute, super short, lots of fun with an encouraging message to take risks and live life. Hope you all had some fun holiday reads to enjoy this season!